Gelotophobia can be defined as the fear of being laughed at or ridiculed. 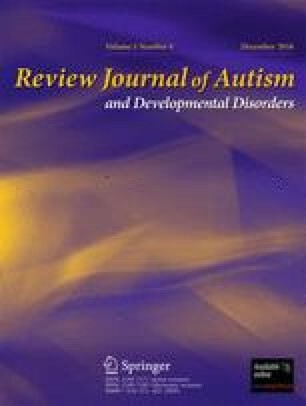 The aim of the current literature review is to present a synthesis of the literature on gelotophobia and the link between high-functioning autism spectrum disorder (hfASD) and gelotophobia. It will also give an overview of the literature regarding the variables hypothesised to be affected by the presence of gelotophobic symptoms in individuals with hfASD, namely social functioning, perceived social support and overall quality of life. Topics explored are defining the characteristics of gelotophobia, conceptualisation and measurement implications of gelotophobia, the aetiology and consequences of gelotophobia, analysing the social competence of gelotophobes and assessing the literature on the presence of gelotophobia in a hfASD sample. The characteristics of hfASD will be discussed. Research on hfASD and its relationship with other variables is also investigated, including comorbid psychopathology, perceived social support, social functioning, shame-bound emotions and overall quality of life. The current review will place an emphasis on research conducted on an adult population of individuals with hfASD. Given the limited research in the area, more research is needed to better understand the relationship between gelotophobia and bullying, social functioning, perceived social support, comorbid psychopathology and quality of life in individuals with hfASD. In conclusion, experts in the area of gelotophobia need to expand their research to include individuals with hfASD, and autism researchers need to be aware of gelotophobia and to incorporate gelotophobia as a potential comorbidity into their research.